Colorado Gov. John Hickenlooper speaks in Des Moines, Iowa, on Friday. Hicklenlooper is considering a run for president in 2020. Gov. 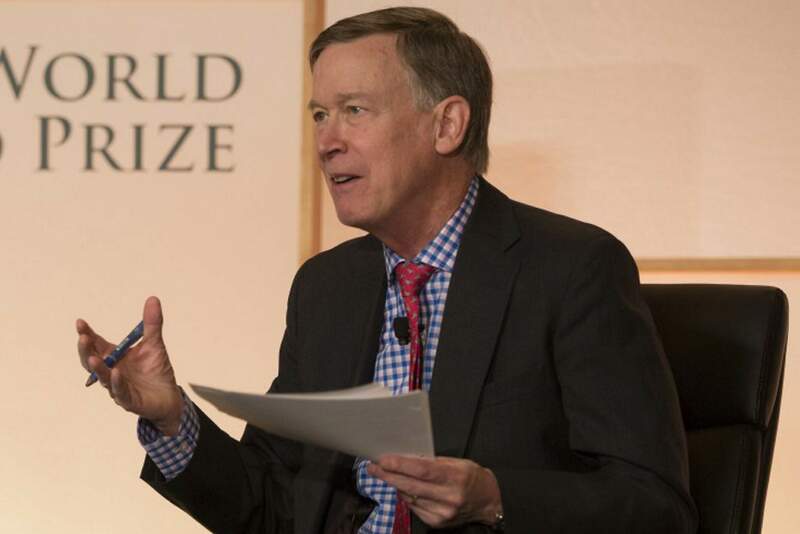 John Hickenlooper ventured to Des Moines, Iowa, on Friday to lay the groundwork for a possible presidential bid in 2020. He was meeting Democratic state lawmakers, party officials, community leaders and campaigning for Iowa’s Democratic candidate for governor Fred Hubbell on Saturday. “They’re pragmatists, they want to see stuff get done, that’s encouraging to hear,” Hickenlooper said of Iowans. He told CPR News before the World Food Prize event that one thing he will highlight is the importance of good, effective government.